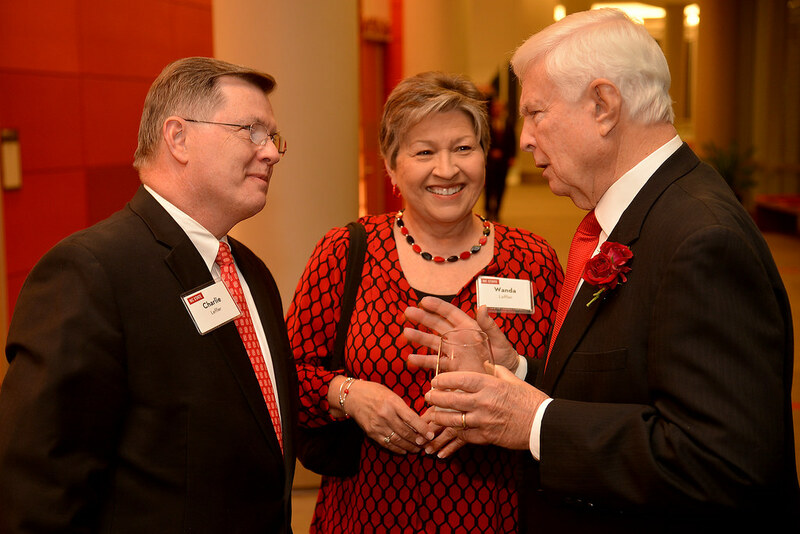 George Worsley and Barbara Mulkey pause for a photo with Chancellor Randy Woodson at the conclusion of the 2016 Founders' Day and Watauga Medal ceremony. 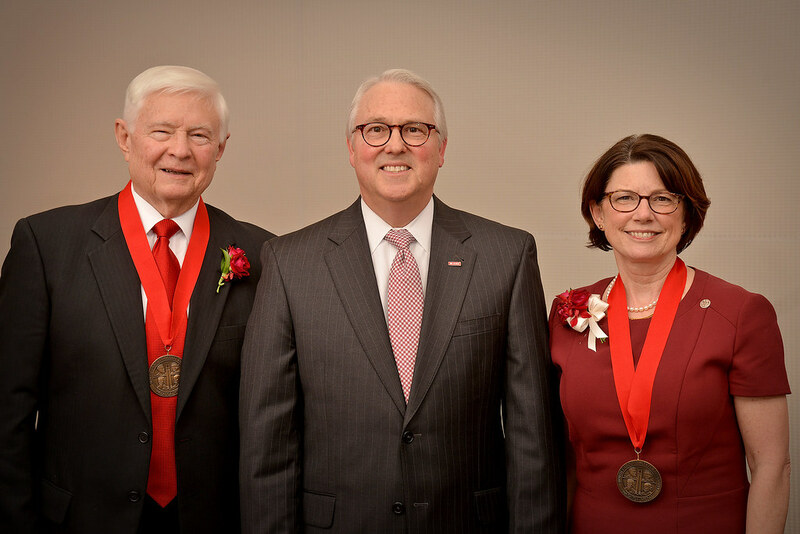 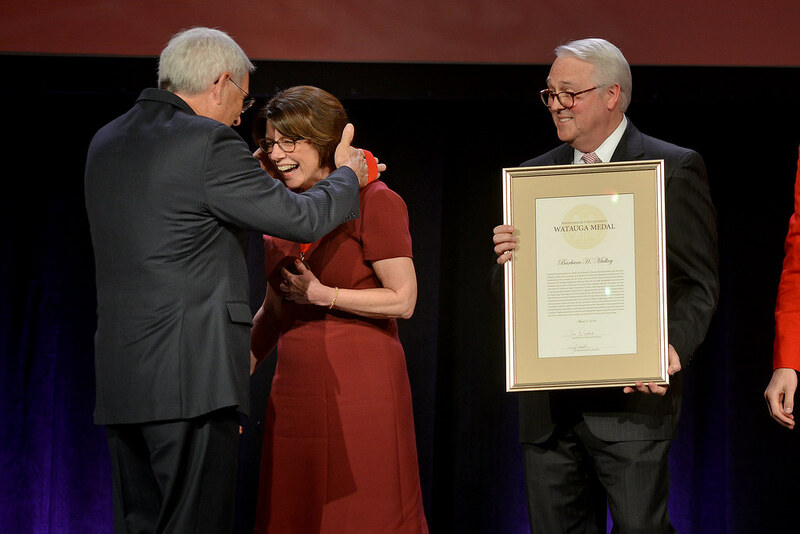 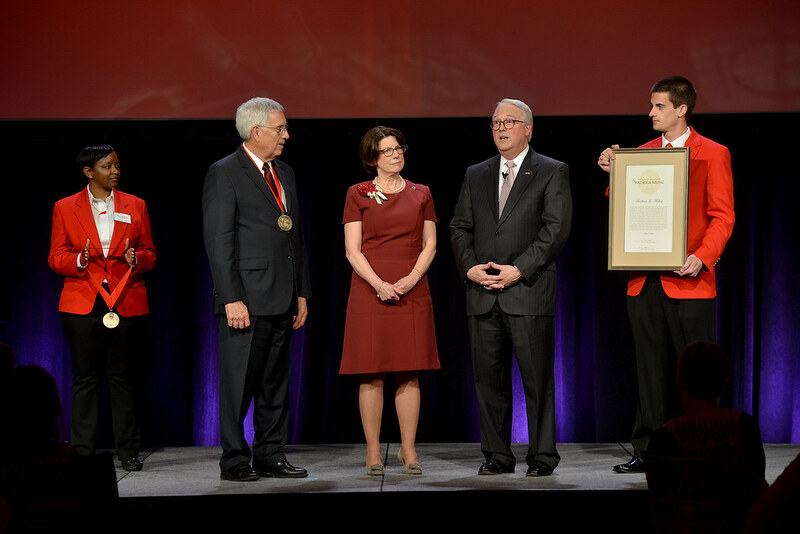 Barbara H. Mulkey and George L. Worsley Jr. received NC State University’s highest nonacademic honor Monday evening, March 7, during the annual Founders’ Day observance. 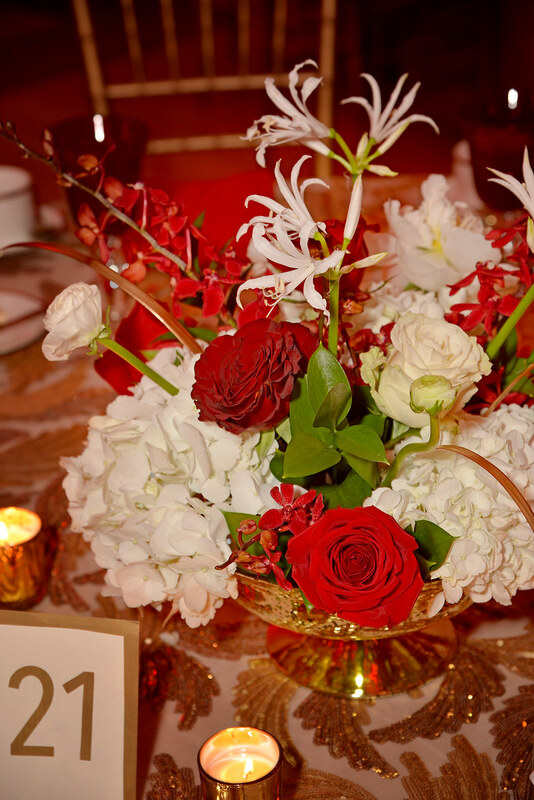 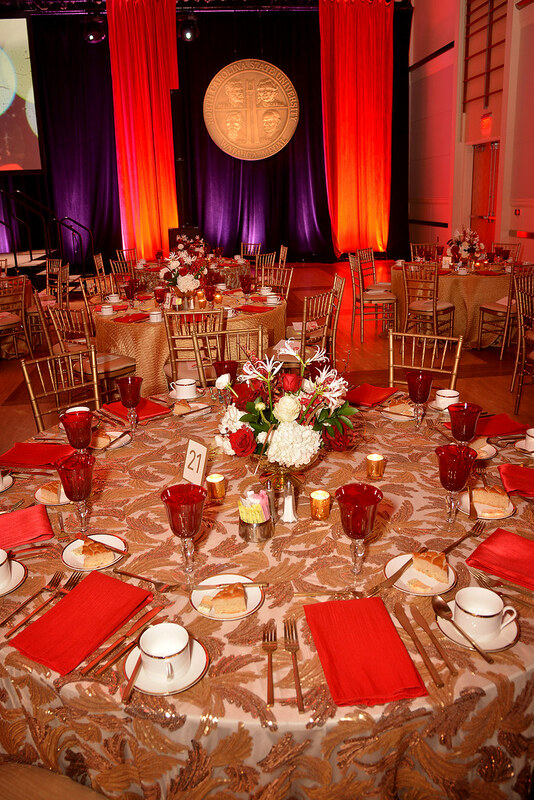 The two were recognized with the prestigious Watauga Medal at a dinner and ceremony held in the ballroom at Talley Student Union. 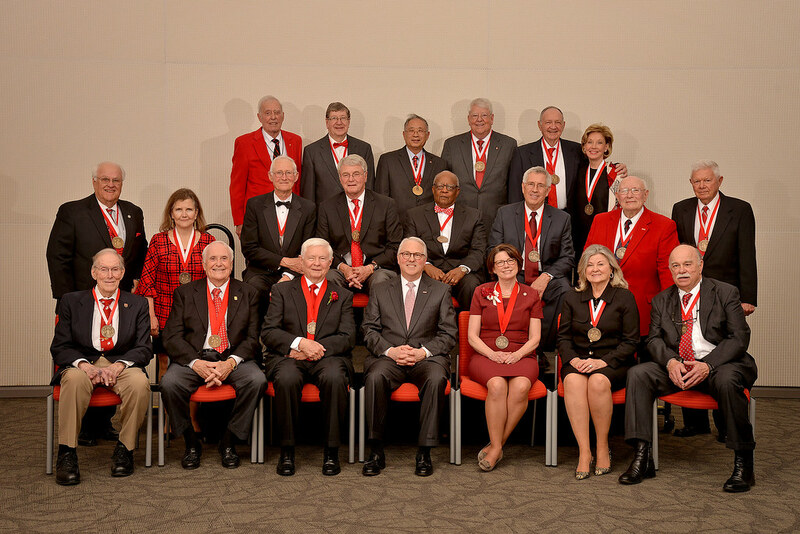 The Board of Trustees has bestowed the medal each year since 1975 in recognition of extraordinary service and commitment to the university. 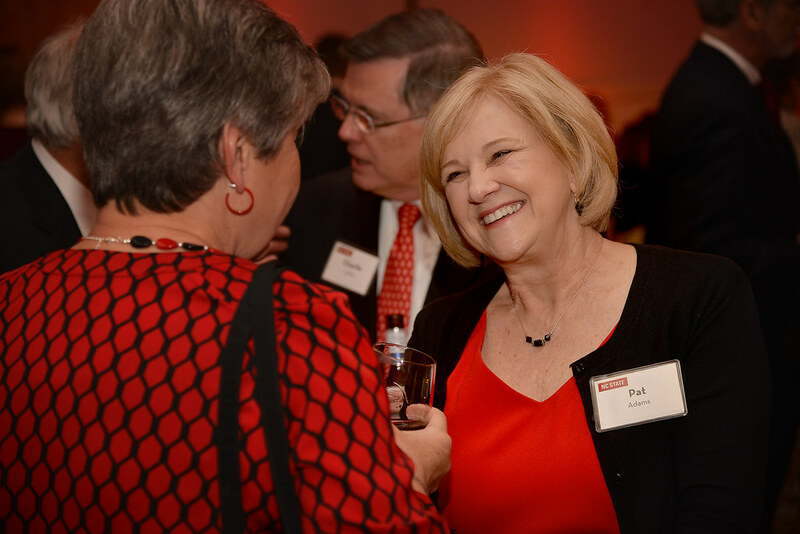 Mulkey, who earned her bachelor’s and master’s degrees in civil engineering from NC State, has a lengthy record of service that includes chairing the Board of Trustees (2011-13). 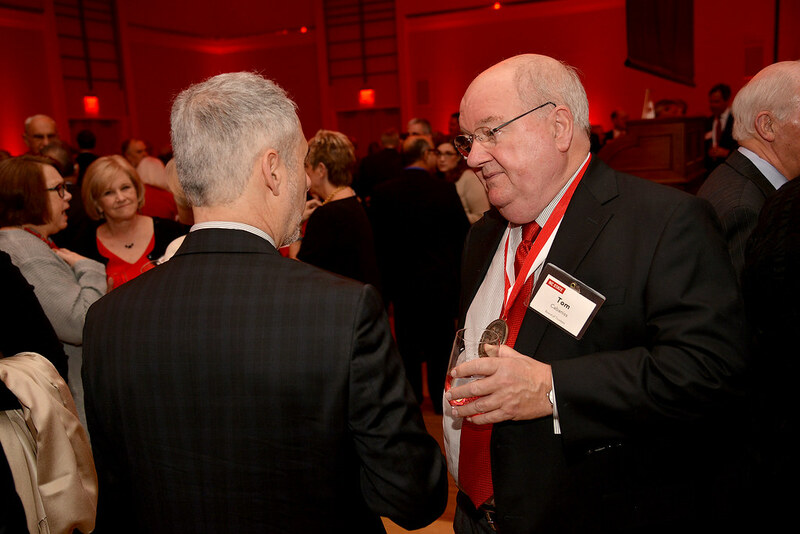 In addition to volunteer roles, Worsley enjoyed an outstanding 41-year career at the university, including 28 years as vice chancellor for finance and business and as the chief financial officer. 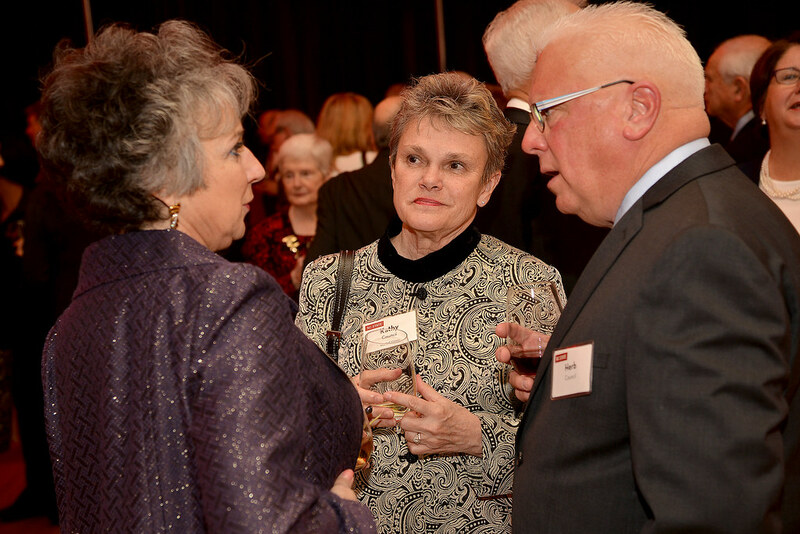 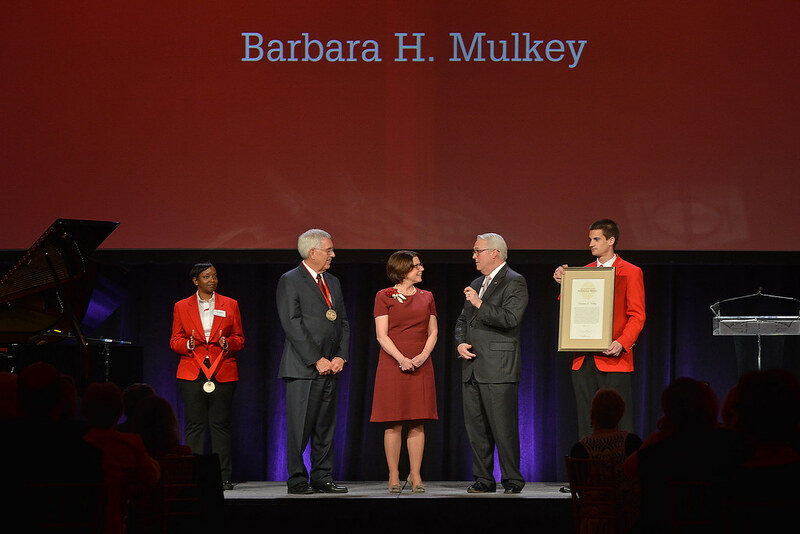 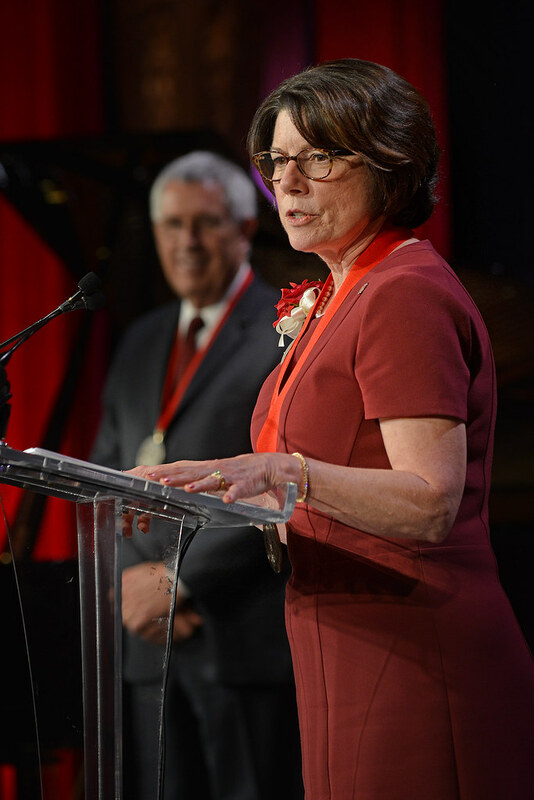 “Barbara Mulkey has been a wonderful leader for NC State both in official roles, such as chair of the Board of Trustees, and a little more behind the scenes, as a pioneer and inspiration for women students in engineering,” said Chancellor Randy Woodson, who presented the medals alongside Dr. Jim Owens, current chair of the Board of Trustees and himself a Watauga Medalist (2006). 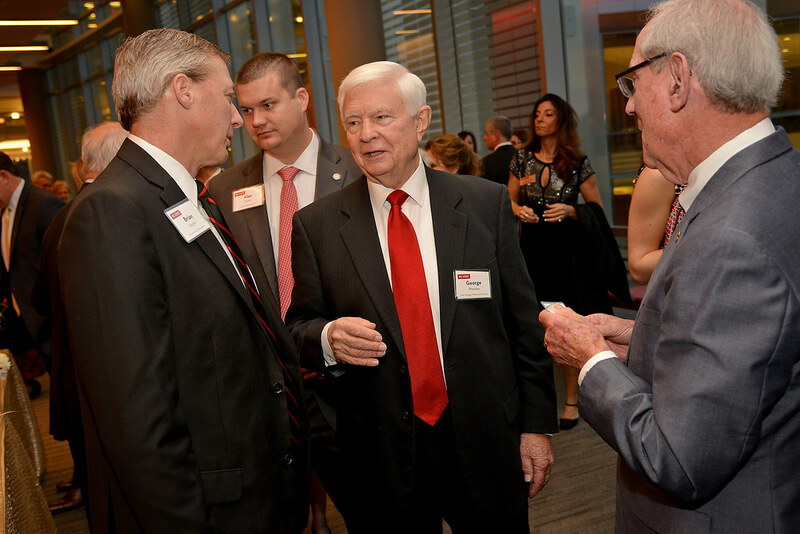 “George Worsley officially retired from our university in 2004, but his fierce commitment and loyalty mean he won’t ever really retire from NC State. 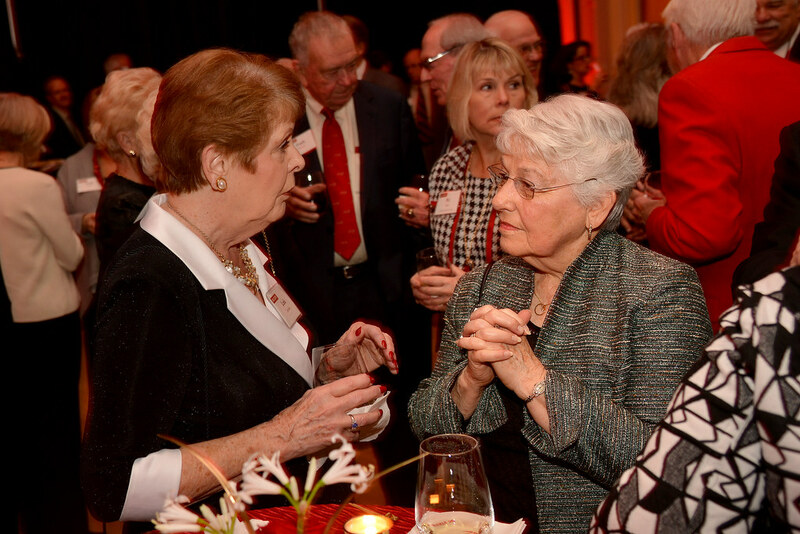 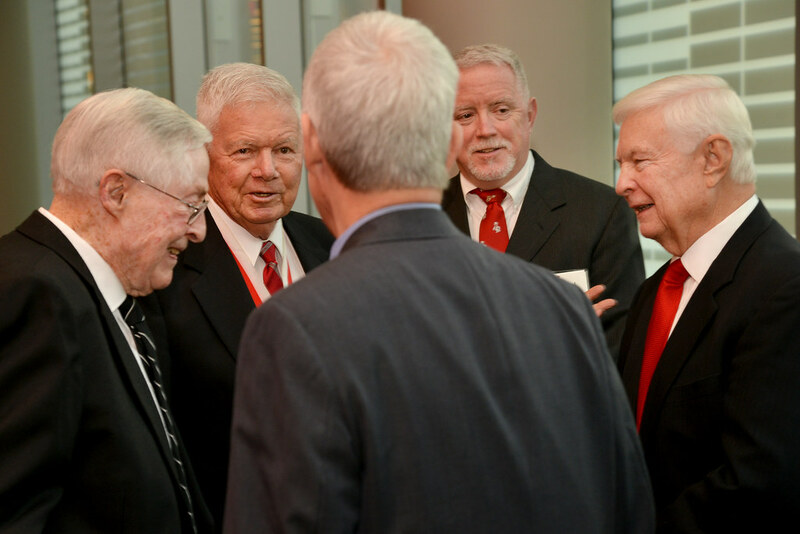 These recipients have made such significant contributions to NC State. 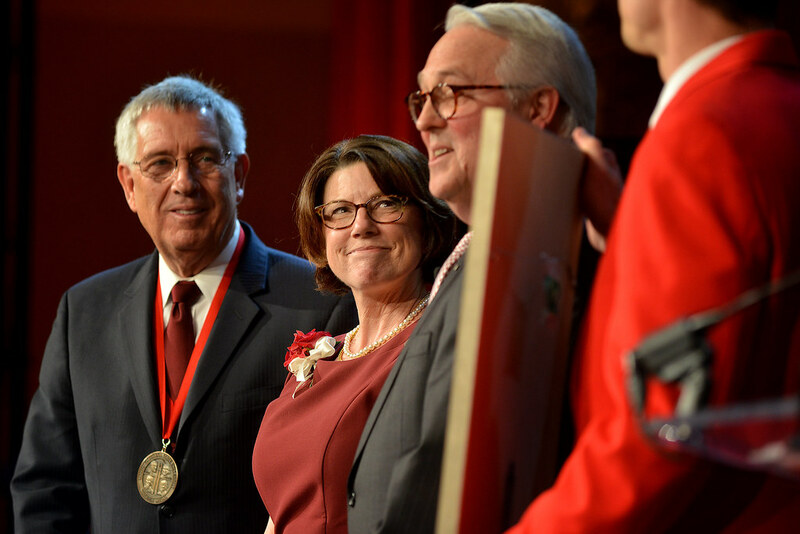 They truly set an example for thinking and doing. 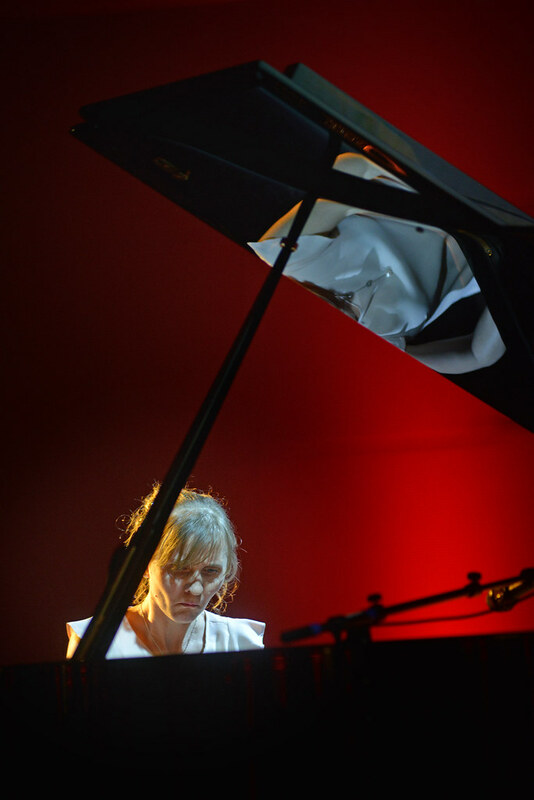 Monday’s event included a performance by Dr. Olga Kleiankina, associate teaching professor of piano, which highlighted the university’s campus, land-grant mission and cutting-edge future. 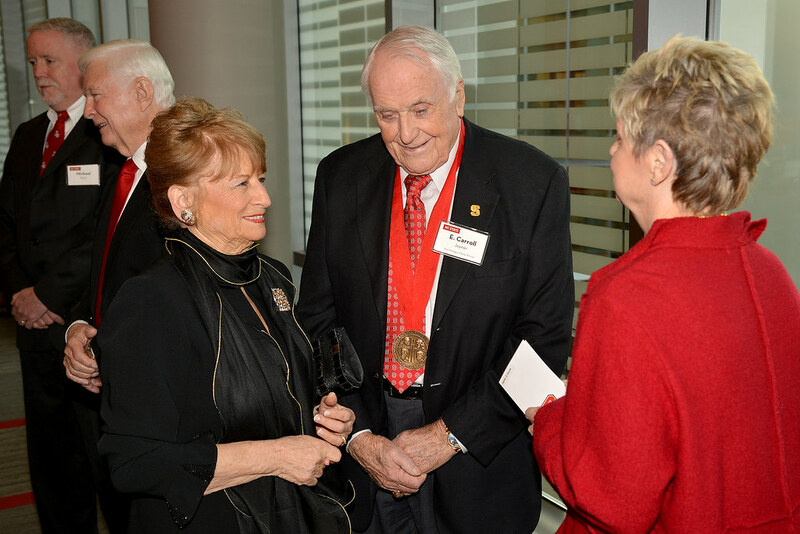 Many past Watauga Medalists attended and participated in an honorary recessional. 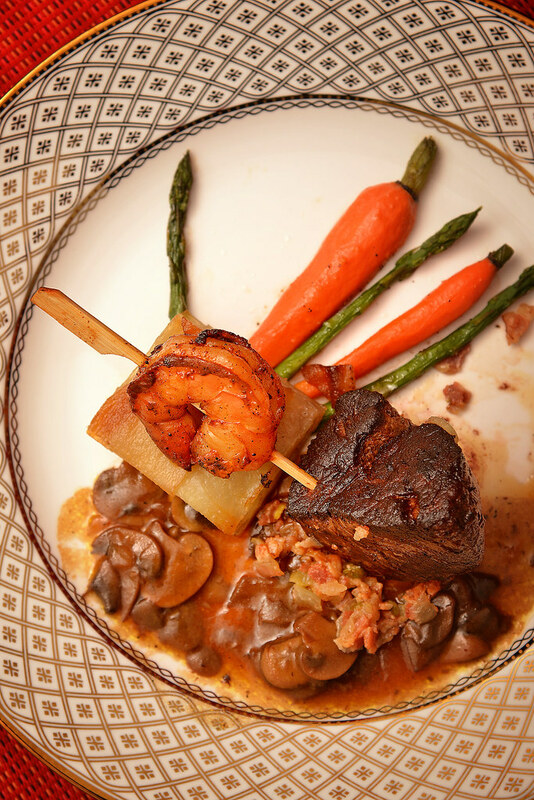 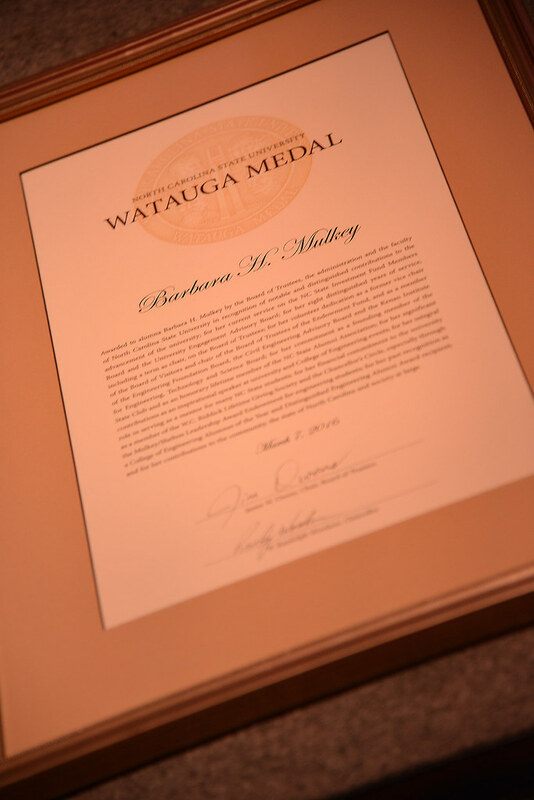 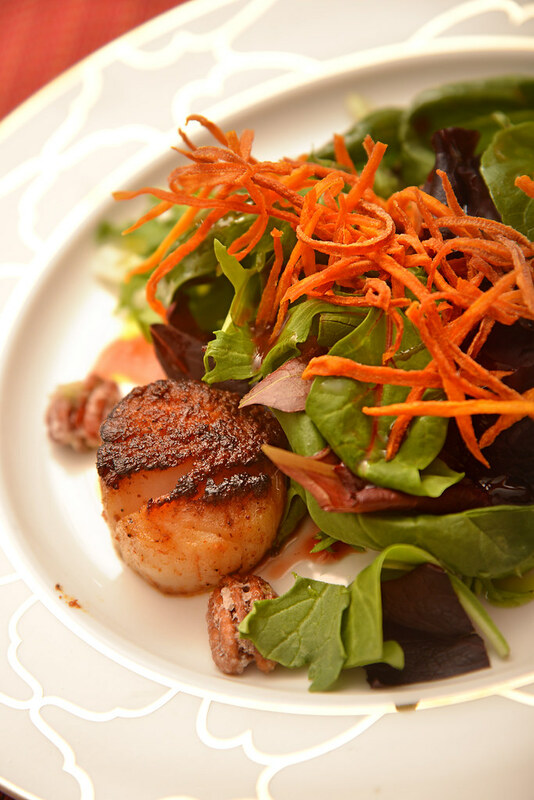 The medal is named for the Watauga Club, a progressive group founded in 1884 by young men committed to promoting North Carolina’s educational, agricultural and industrial development. 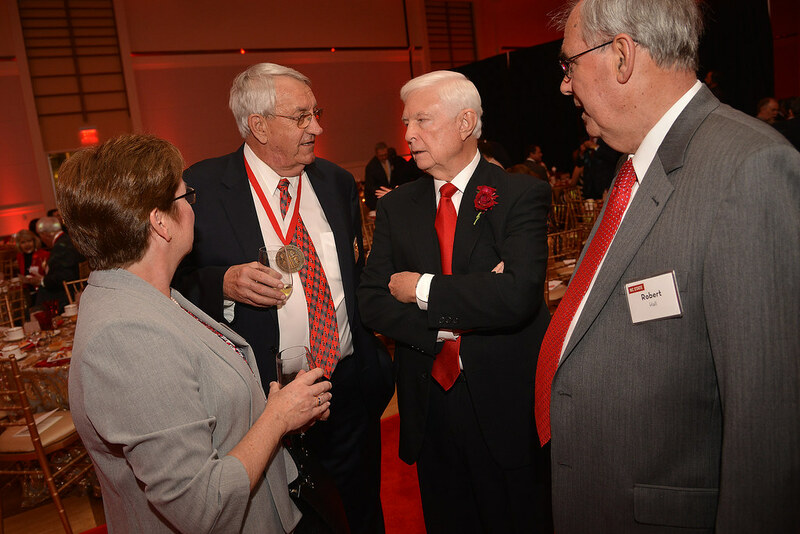 Its early activities included urging state leaders to open the North Carolina College of Agriculture and Mechanic Arts, now NC State. 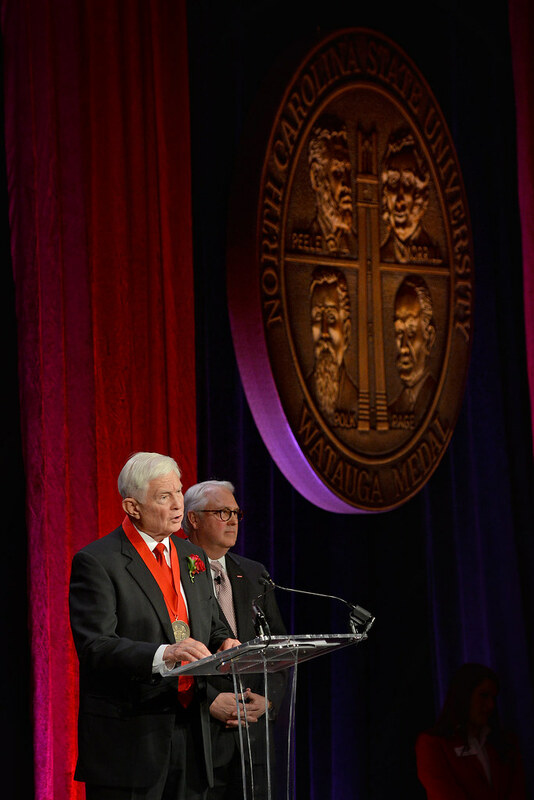 During his remarks, Woodson highlighted the university’s history as a land-grant institution, established through the federal Morrill Act to transform public higher education by expanding opportunity and adding practical and applied agriculture, technology and science to classical curricula. 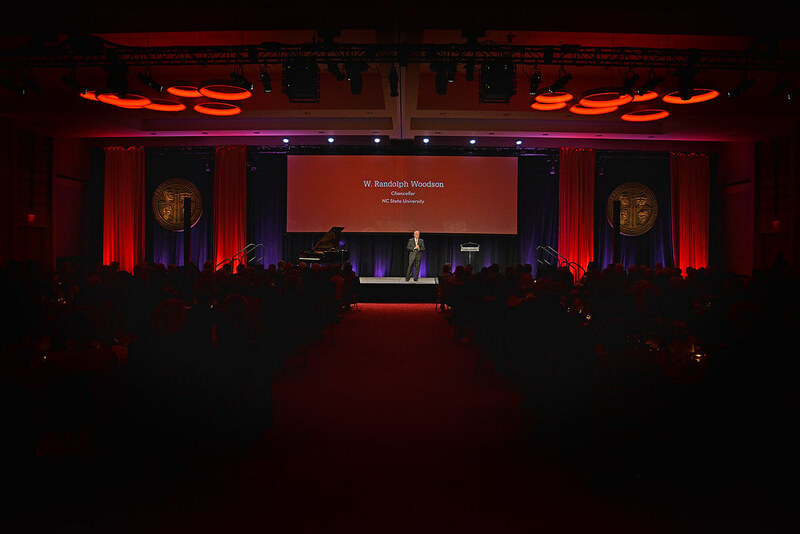 On March 7, 1887, the General Assembly passed the bill that founded the university, which opened to students in October 1889. 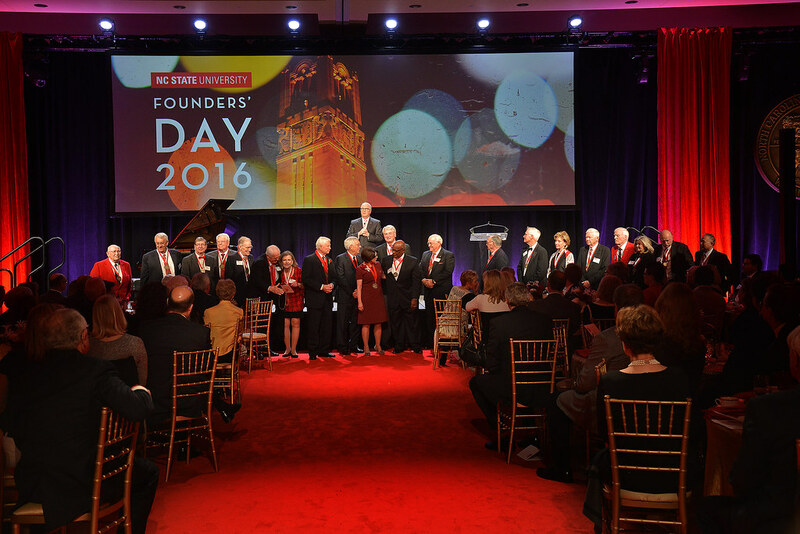 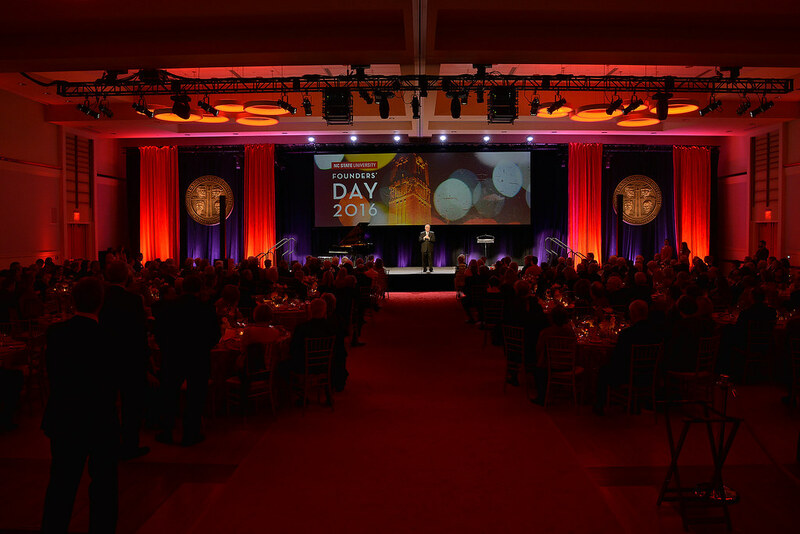 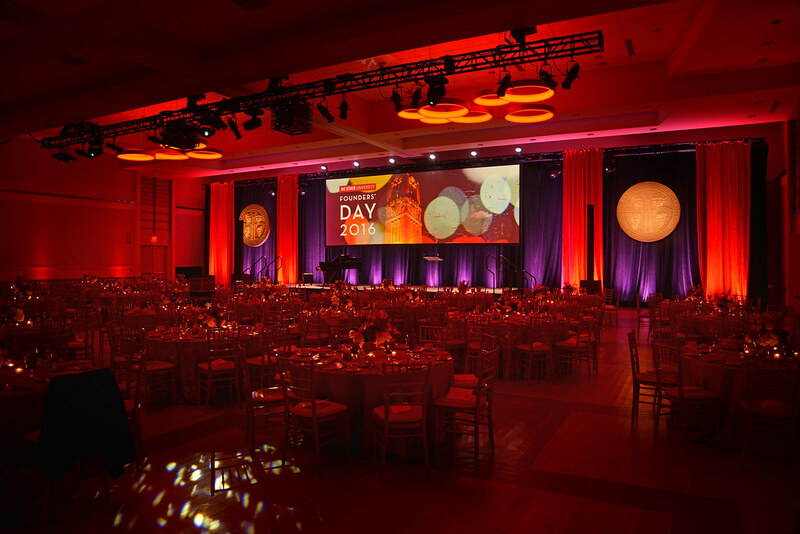 NC State’s founders, Woodson said, would be amazed by today’s university, from its sheer size and innovative facilities, to its wide expertise in fields including veterinary medicine, power electronics, digital humanities, clean energy and big data. 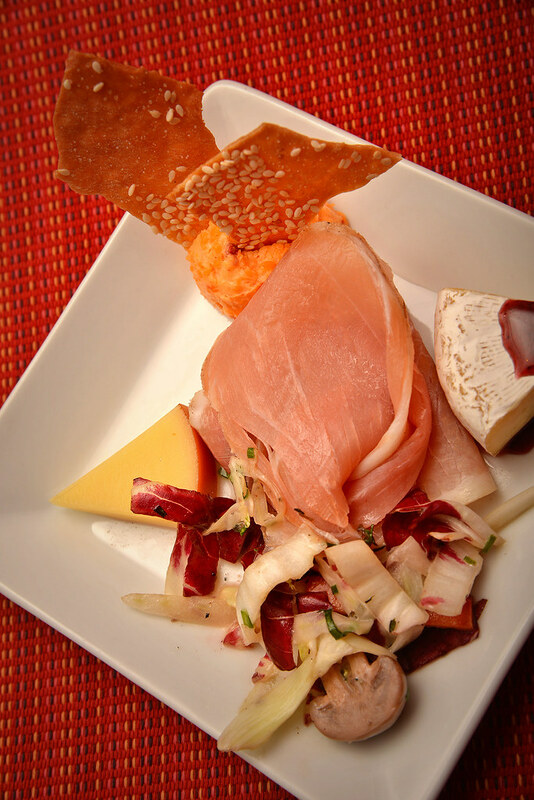 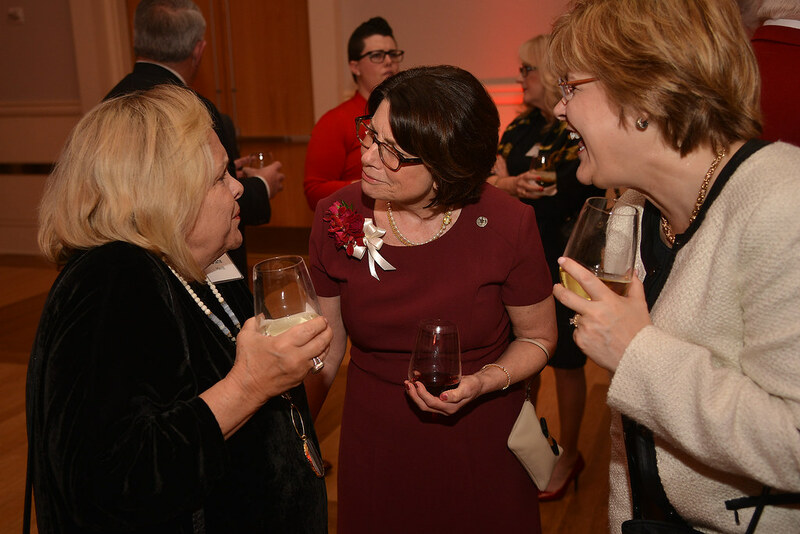 They would, however, recognize the collaborative Think and Do spirit and be pleased by an annual economic impact on North Carolina of more than $6.5 billion. 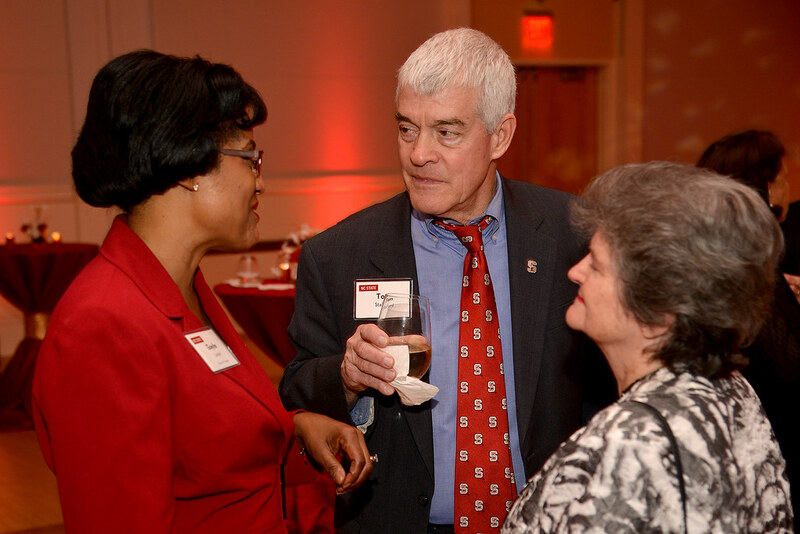 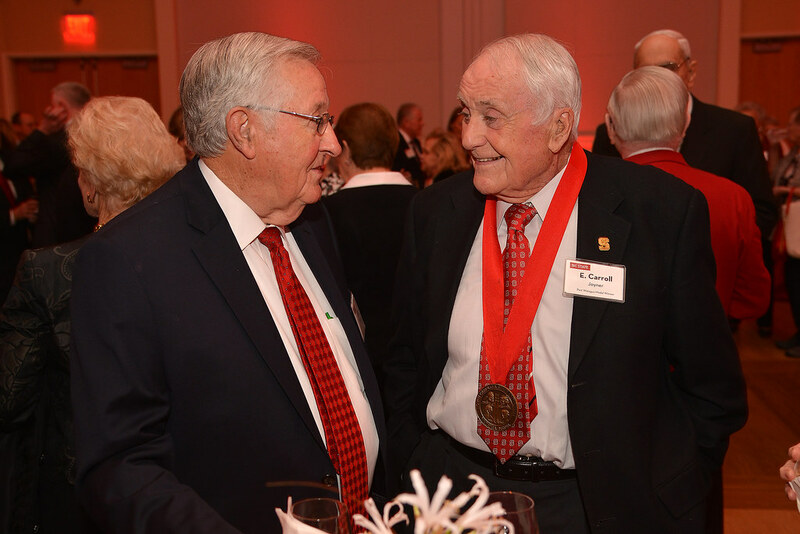 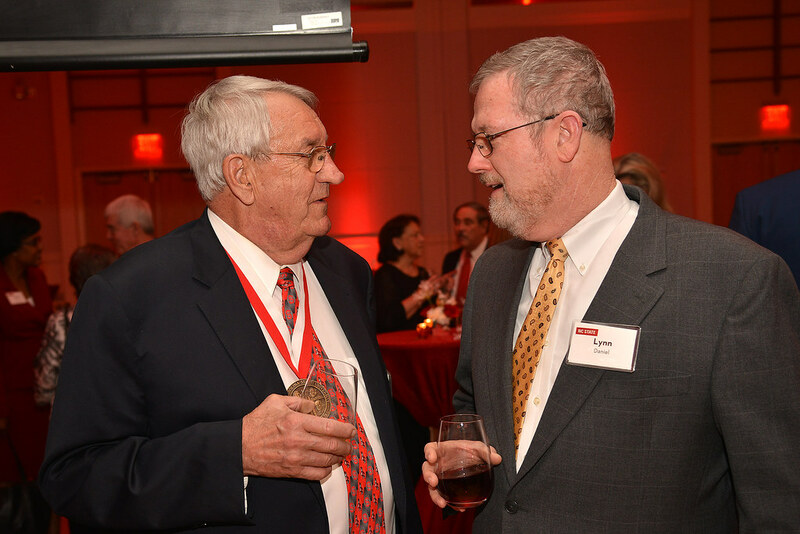 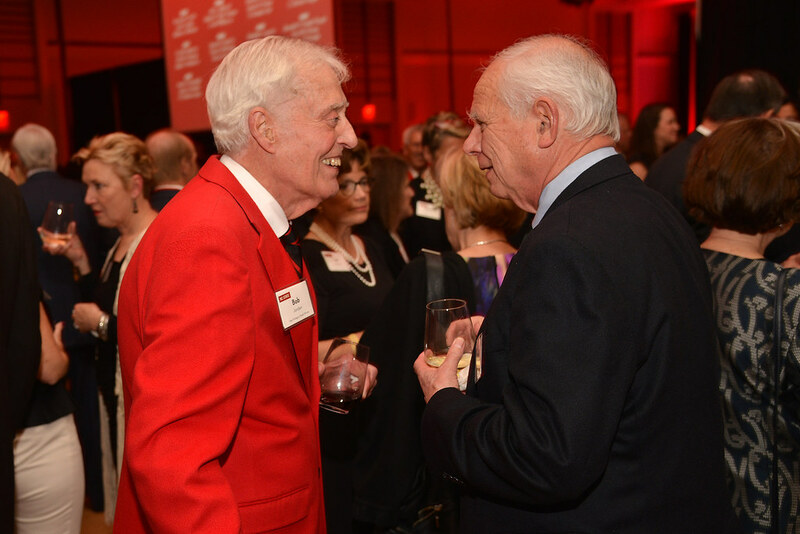 The retired founder and chair of Mulkey Engineers & Consultants, Mulkey is a member of NC State’s W.C. Riddick Lifetime Giving Society and the Chancellor’s Circle, and established the Mulkey/Shelton Leadership Award Endowment for engineering students. 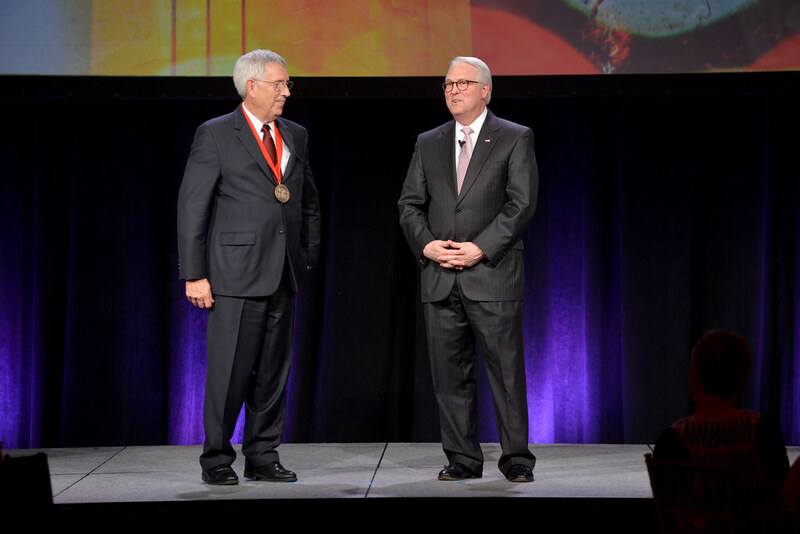 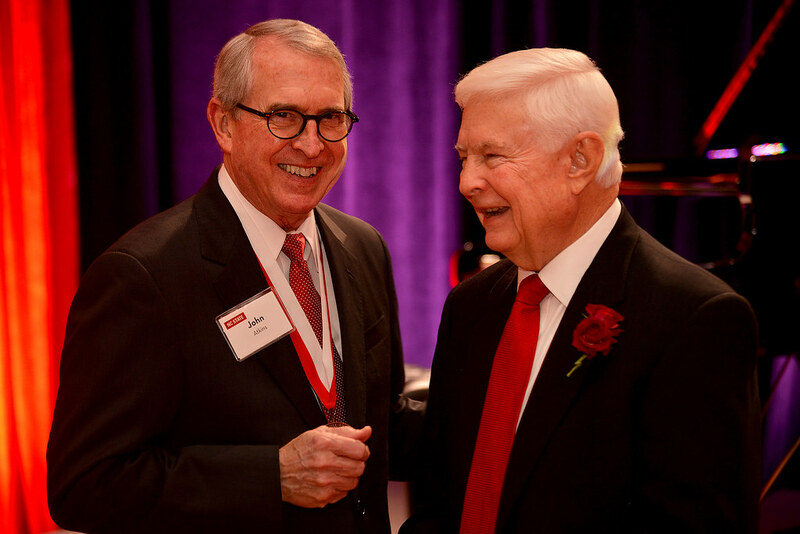 The Cary resident has been honored as a College of Engineering Alumnus of the Year and Distinguished Engineering Alumni Award recipient. 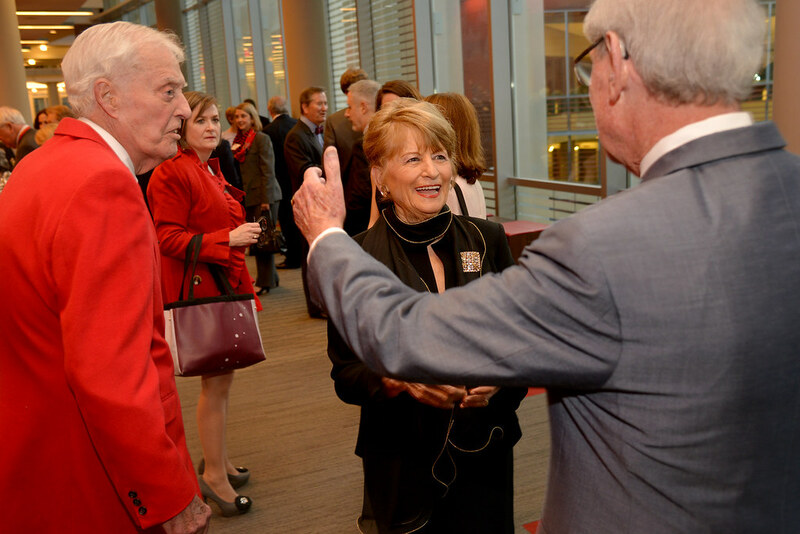 In addition to serving as an inspirational speaker at university and college events, Mulkey has mentored many students. 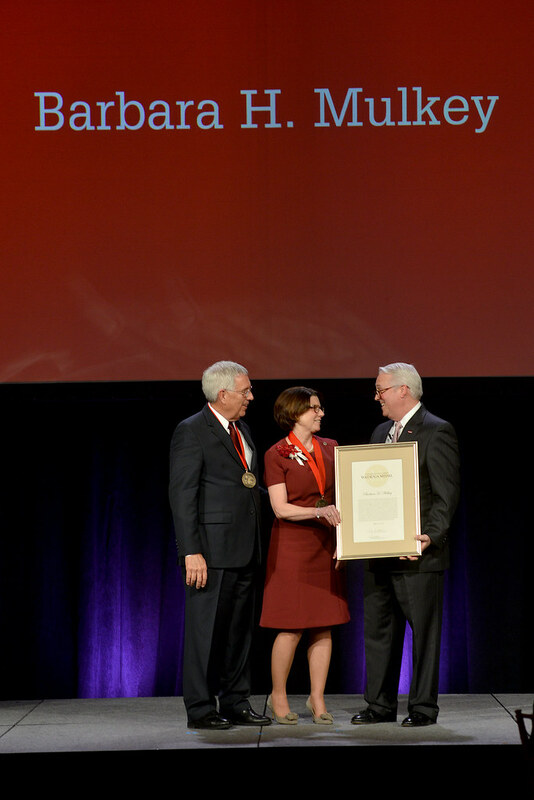 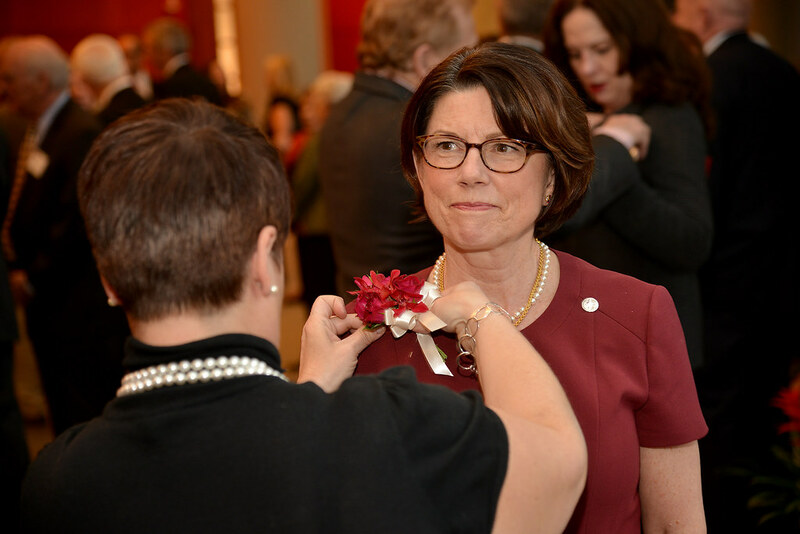 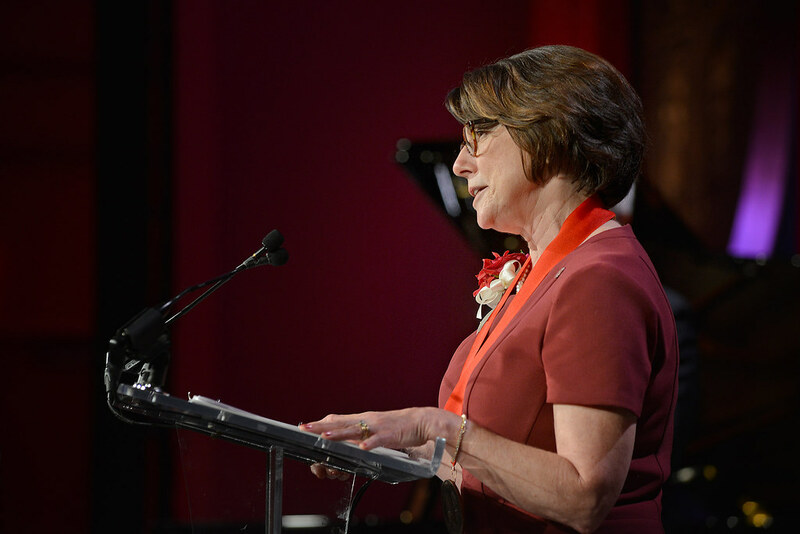 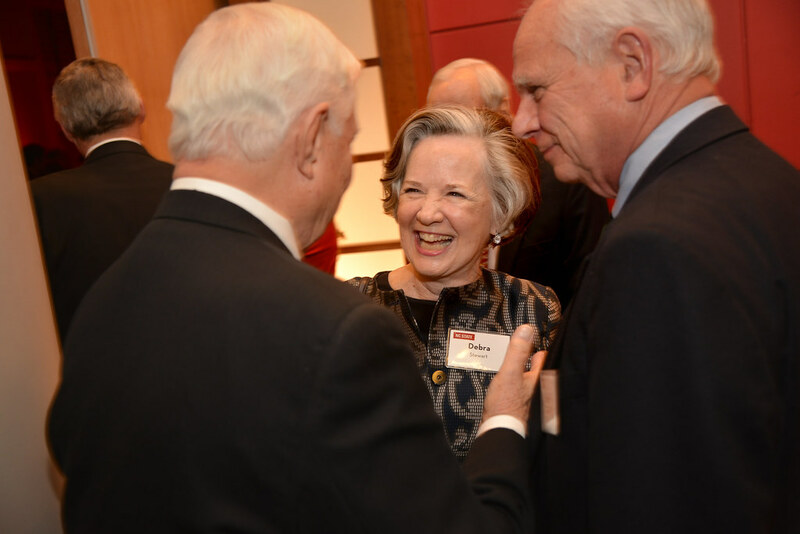 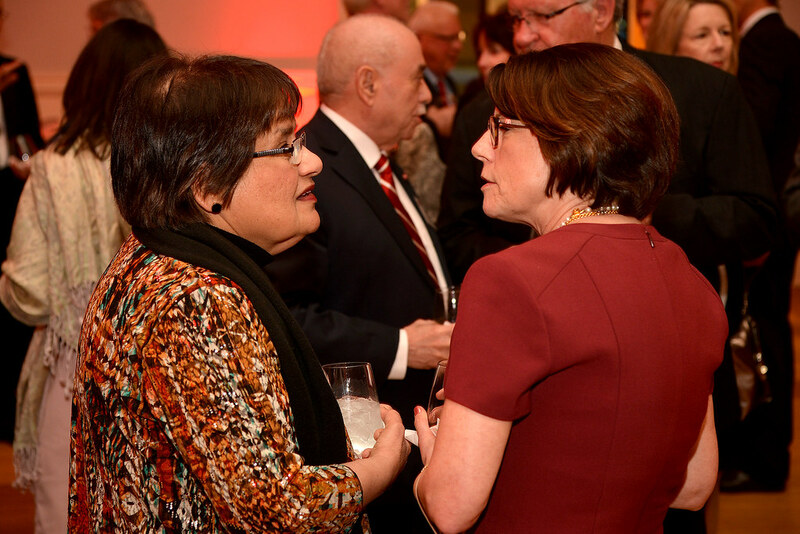 In receiving the Watauga Medal, she spoke of her pride in NC State’s mix of traditional and cutting-edge, sense of family, and outstanding educational, research and statewide outreach programs. 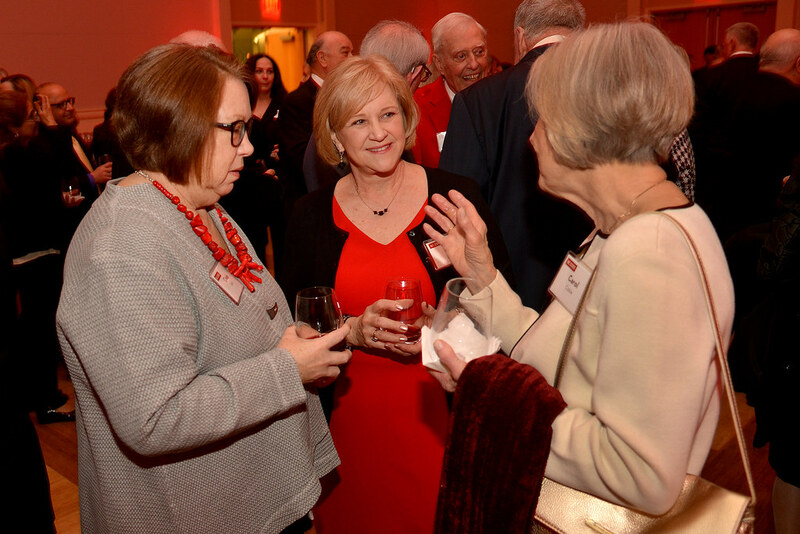 Mulkey said that most of all, she enjoys interacting with students — including scholarship winners, participants in entrepreneurship initiatives, and scholars who are the first in their family to attend college or who struggle to pay for school. 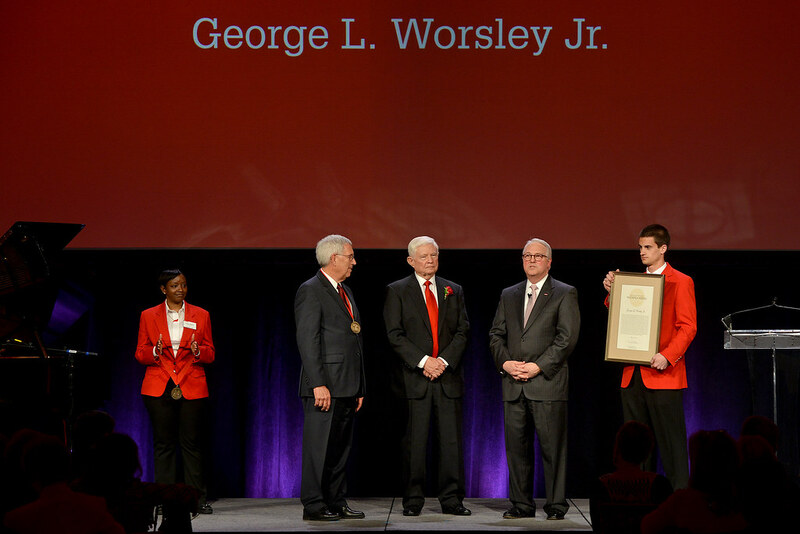 For his many contributions to North Carolina, Worsley was named to the Order of the Long Leaf Pine. 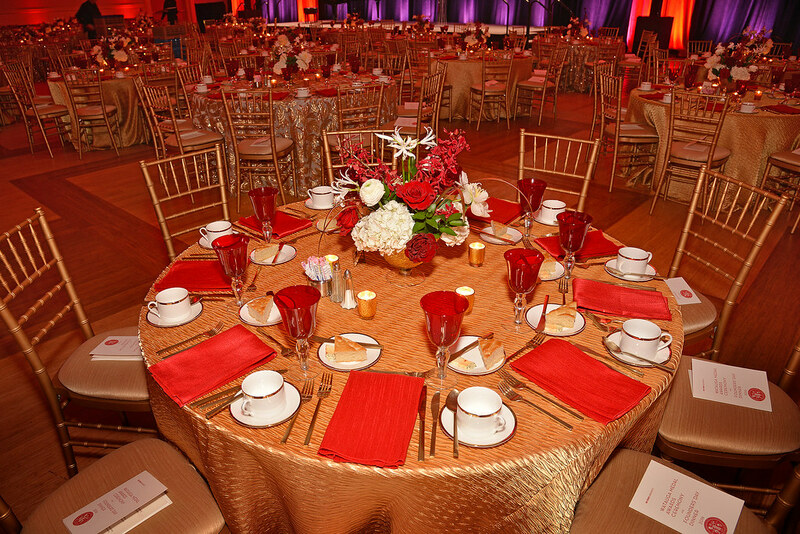 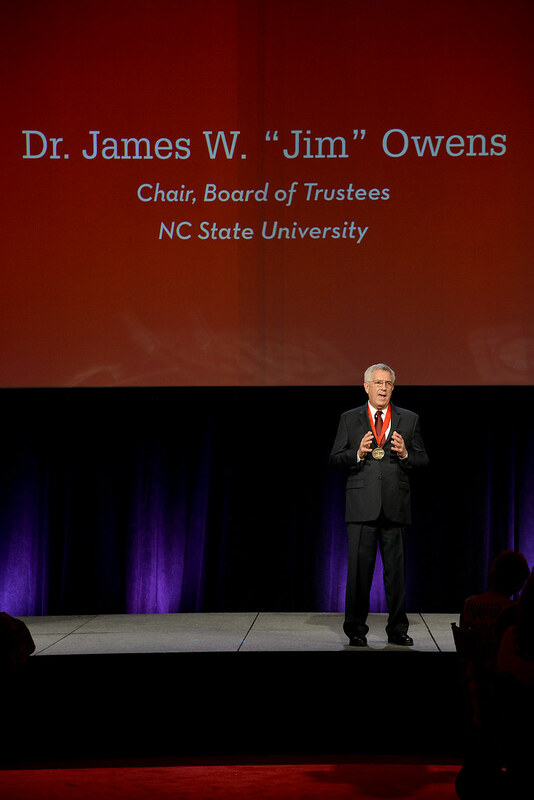 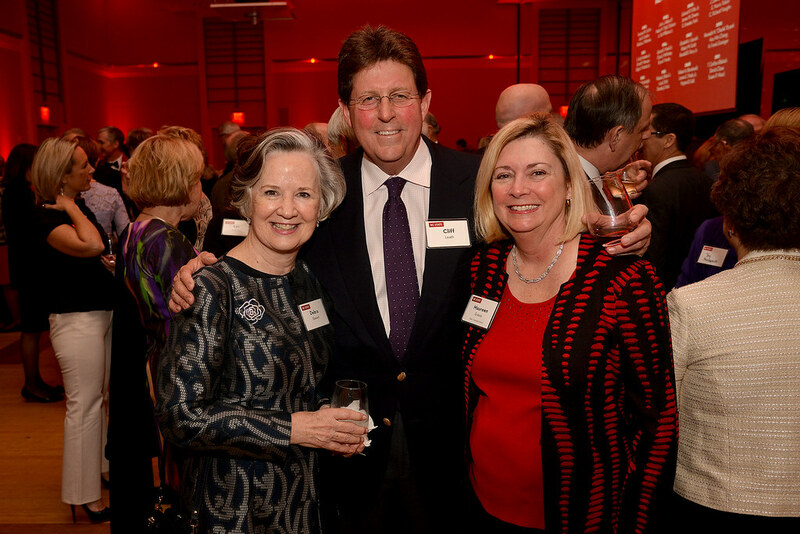 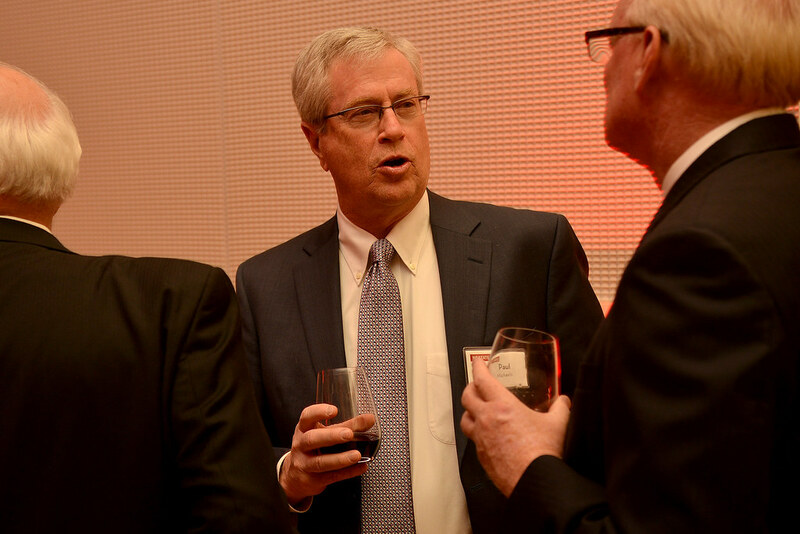 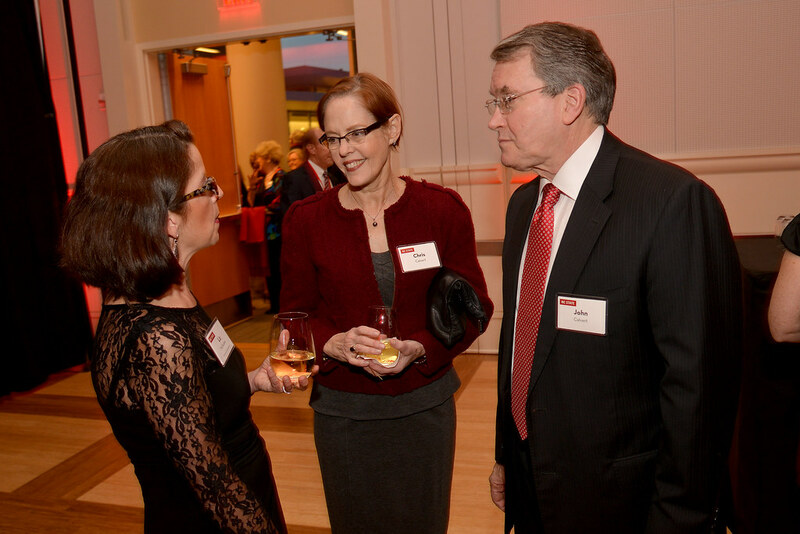 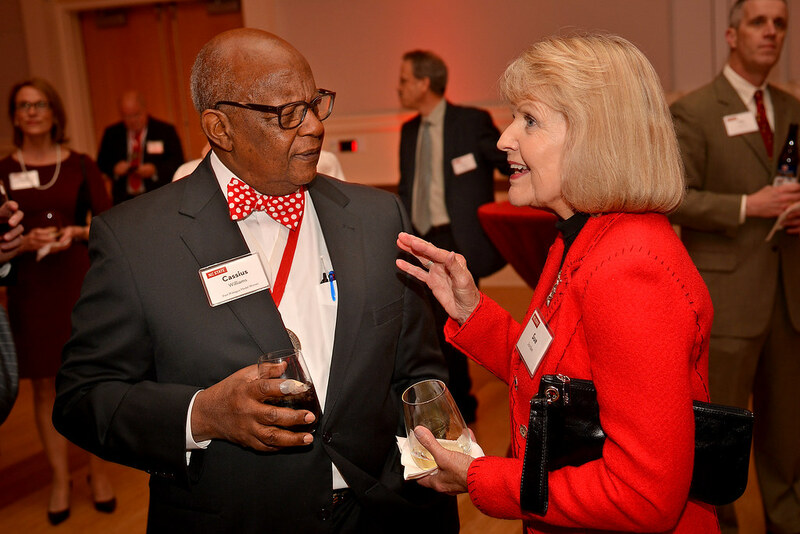 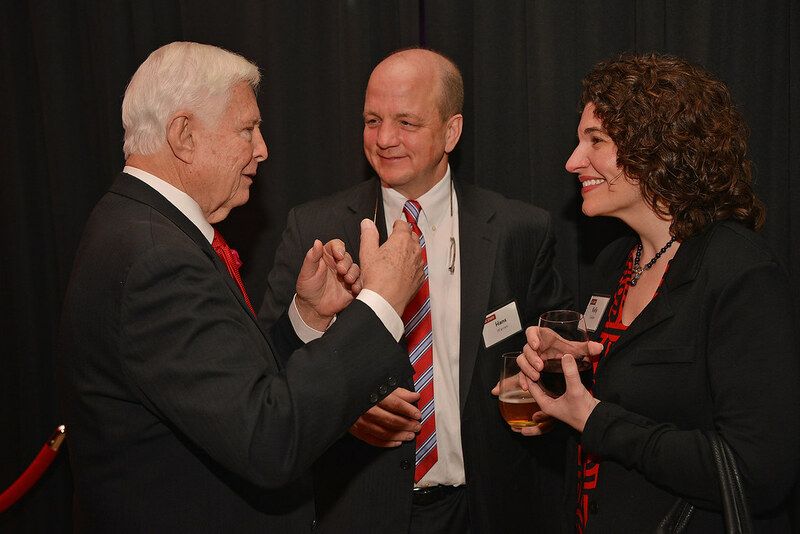 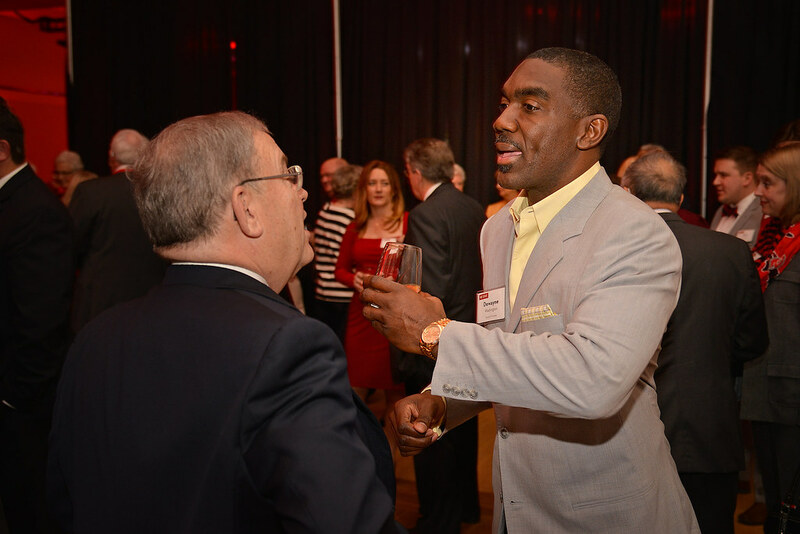 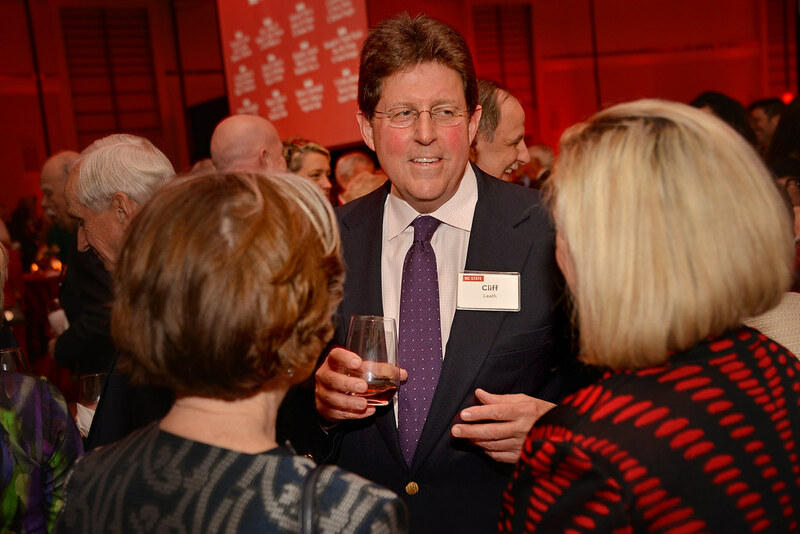 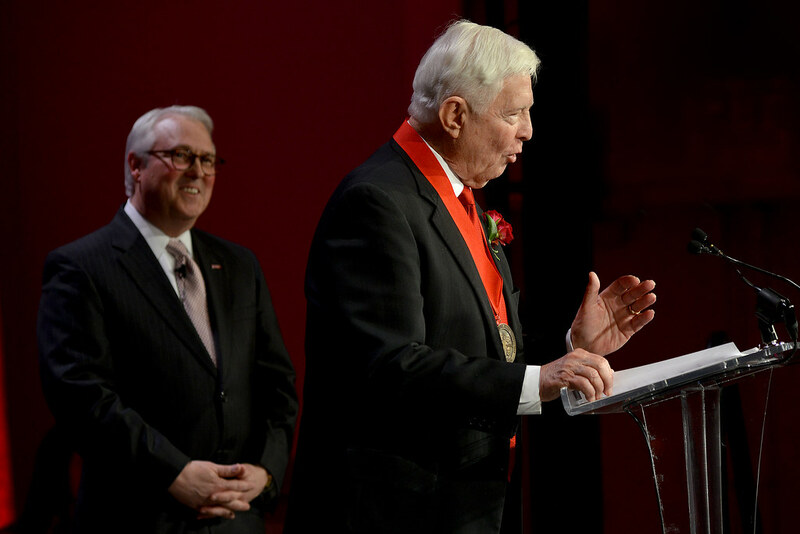 His professional highlights include being a staunch advocate and leader for the development of NC State’s Centennial Campus; at 20th anniversary observances, he was honored as one of its four founders. 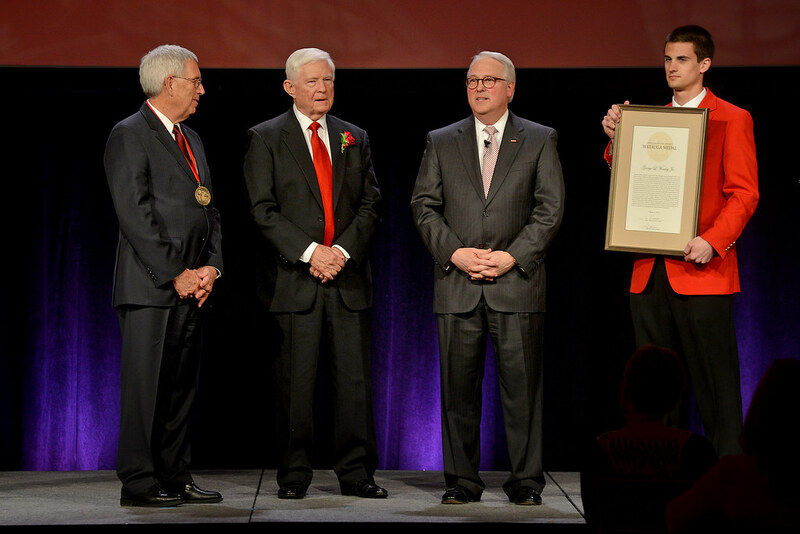 Worsley has been recognized with the Honorary Alumnus Award and as an honorary lifetime member of the Alumni Association, an honorary member of the NC State University Foundation Board and a recipient of the Distinguished Business Officer Award from the National Association of Colleges and University Business Officers. 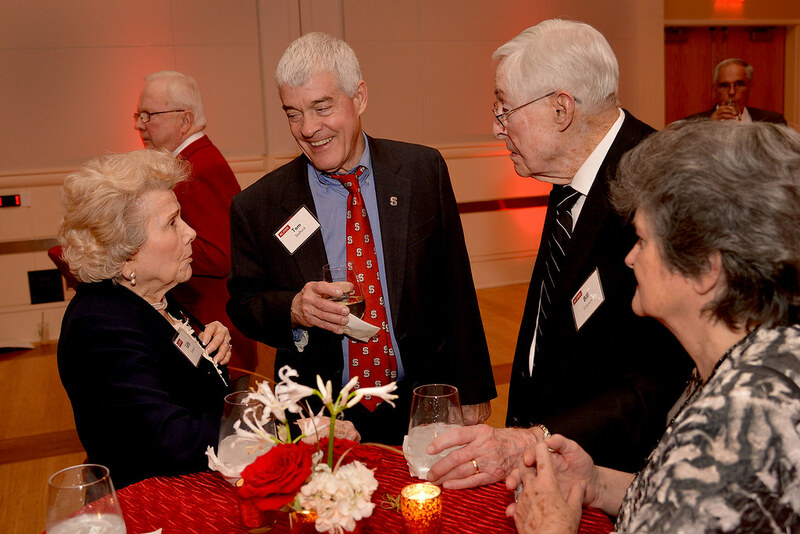 The Raleigh resident is a member of the university’s C.W. 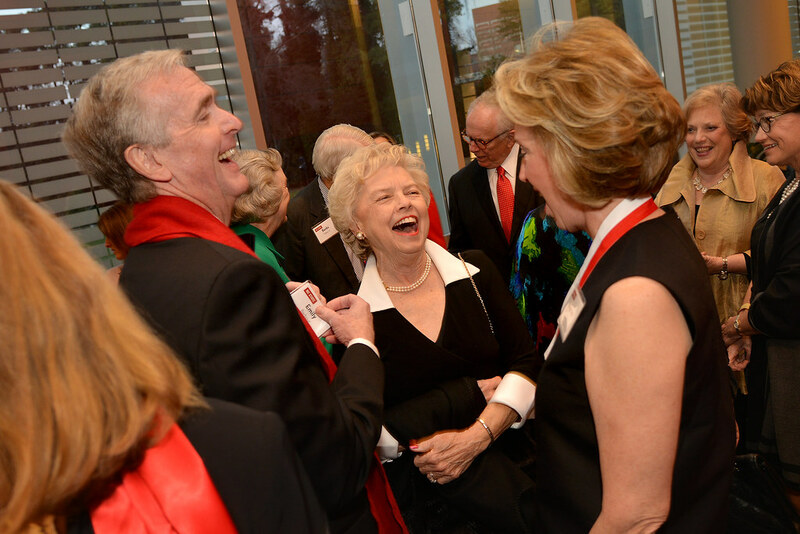 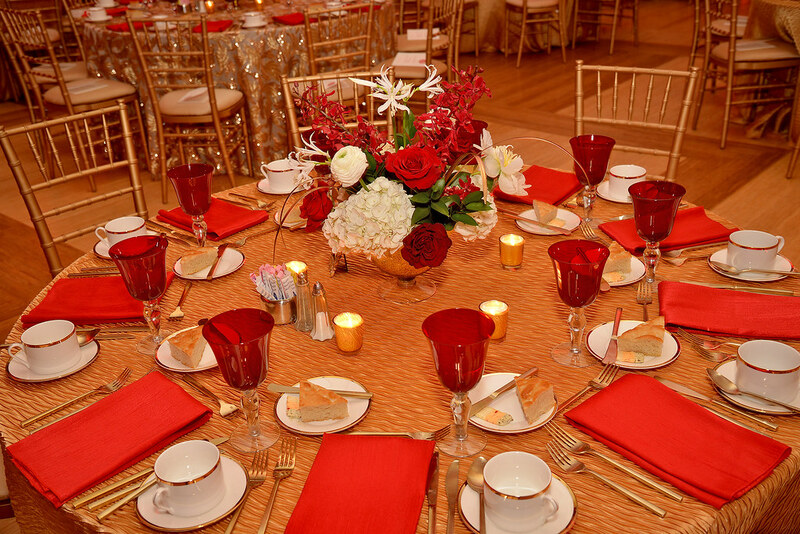 Dabney Lifetime Giving Society and Chancellor’s Circle, particularly providing financial support for scholarships through the George L. and Reba H. Worsley Finance and Business Scholarship Endowment and the Howard Gregory Hathaway Memorial Endowment, and for NCSU Libraries through the George and Reba Worsley Endowment. 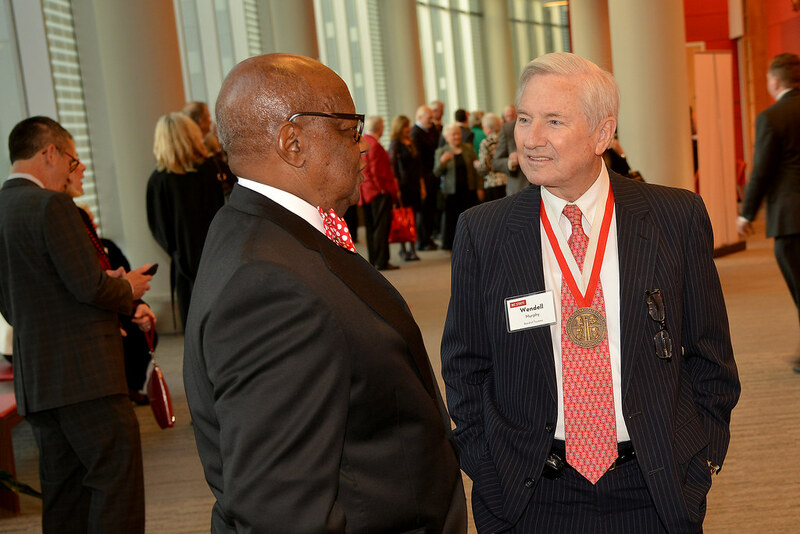 In receiving the Watauga Medal, Worsley spoke of NC State connections that date to his childhood on an Edgecombe County tobacco farm. 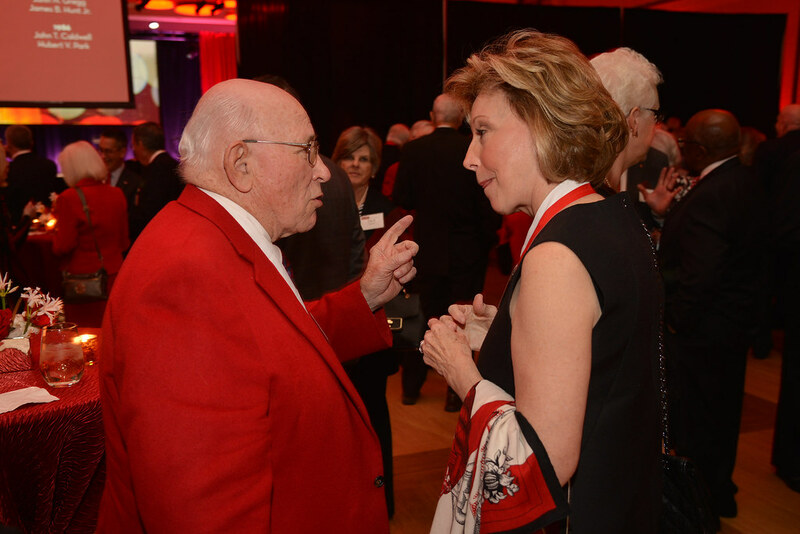 His parents were involved in Cooperative Extension Service programs, he and his brother participated in 4-H, and the family listened to Coach Everett Case’s Wolfpack basketball team’s games on the radio. 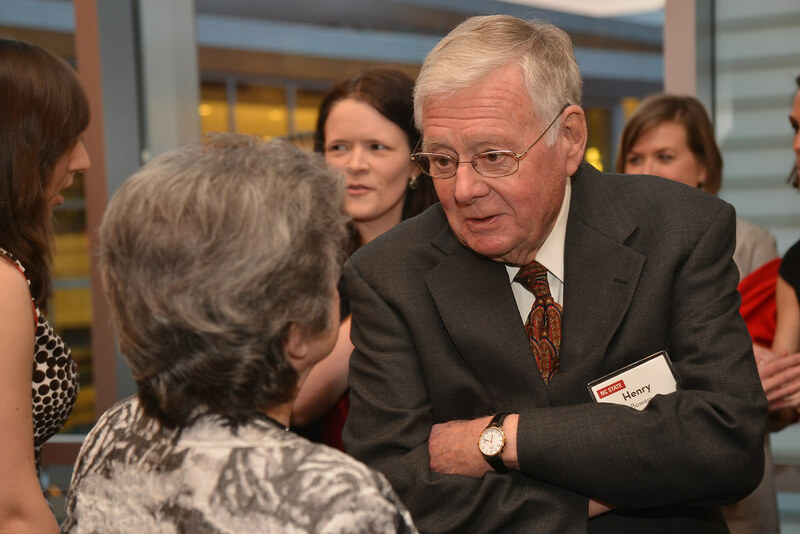 Worsley recalled that when he joined NC State’s staff in 1963, the university enrolled some 6,000 students including fewer than 50 women (compared to more than 34,000 today, about 45 percent women). 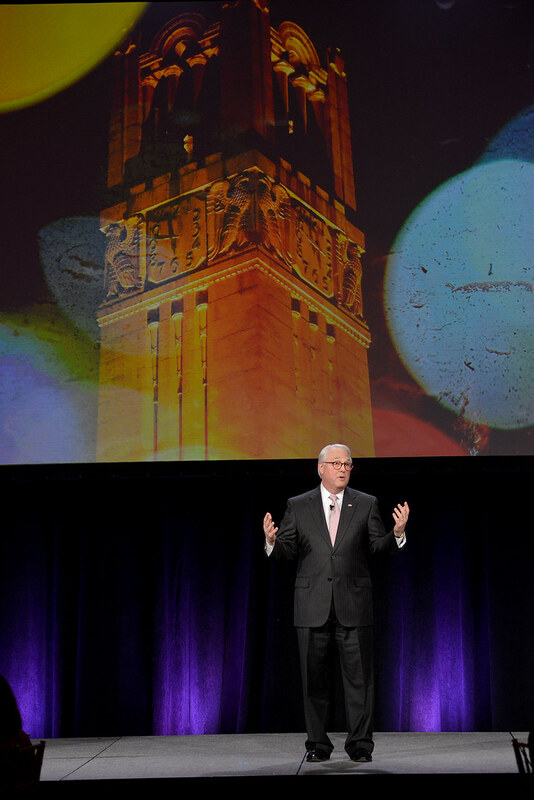 He highlighted the upward trajectory in the budget and the endowment, as well as in student and faculty achievement. 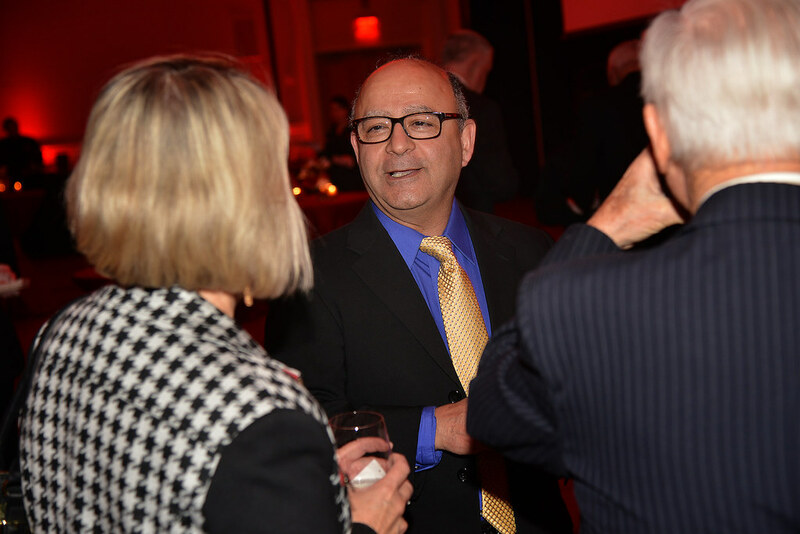 Earlier in the program, Woodson had outlined the Connect NC bond issue, which goes before voters March 15 and would fund education, parks, safety, recreation, and water and sewer infrastructure projects in 76 counties. 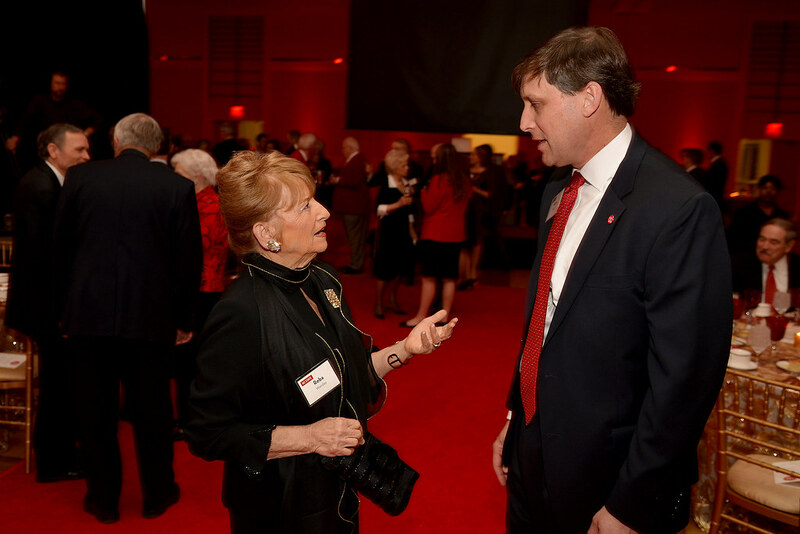 Two-thirds of the $2 billion bond would benefit higher education, including $160 million toward NC State’s Engineering Oval building and Plant Sciences Initiative. 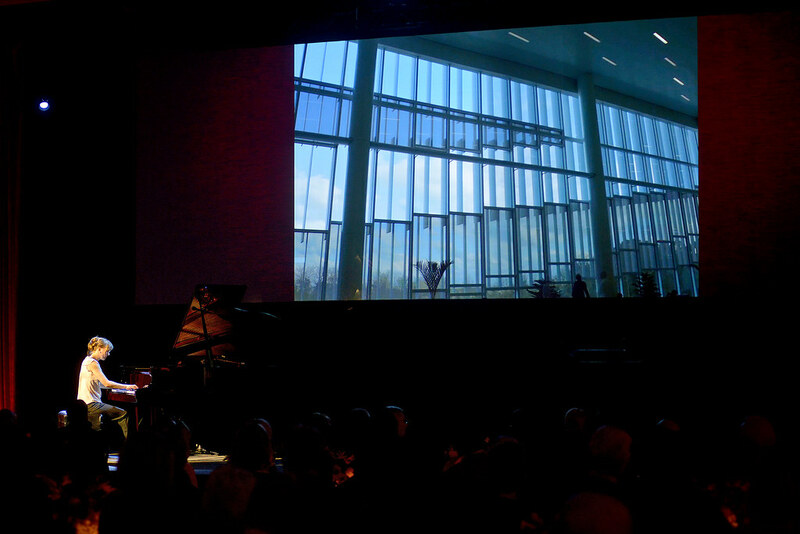 Both would be supported by significant private funding as well. 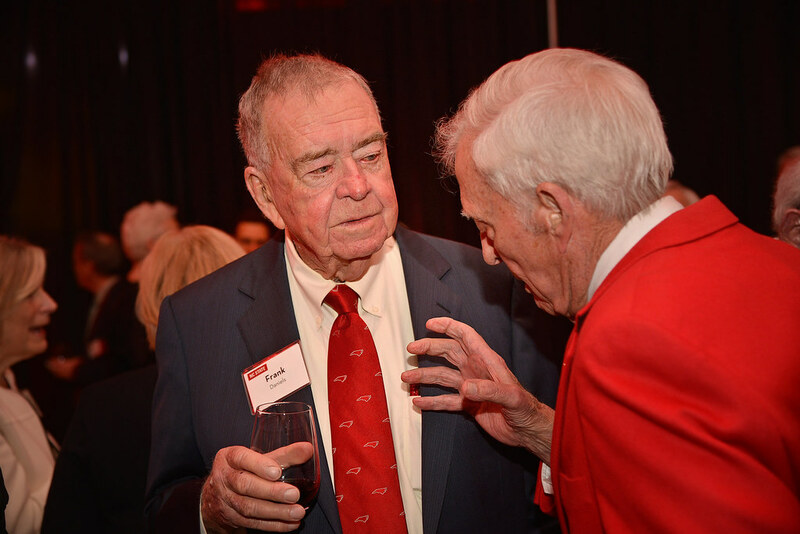 Worsley concluded his remarks by urging the audience to support the bond.